Enjoy the most blissful floating relaxations ever! Members, keep your eyes on your inbox for our special invite only preview classes. “My first thought about the class was how liberating it felt: There’s an incredible lightness to soaring, stretching and floating through the air suspended by a silk hammock. 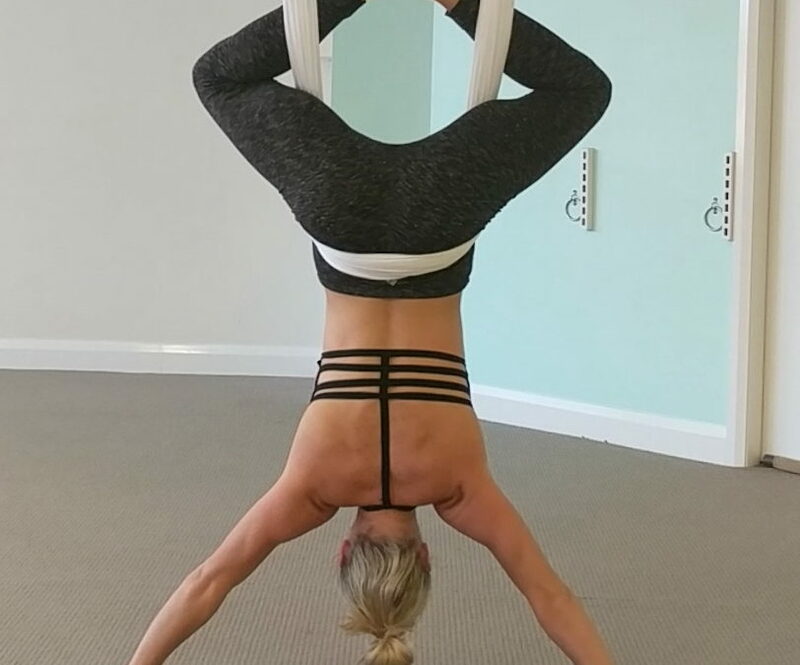 The inversions really get the blood flowing (extended periods of hanging upside-down will do that), which left me feeling clear-headed and energetic after the class, feeling like I was walking on air.” – Aerial Student Carolyn G.